A Cafeteria Plan is a reimbursement plan governed by IRS Section 125 which allows employees to contribute a certain amount of their gross income to a designated account or accounts before taxes are calculated. These accounts can be for insurance premiums and medical or dependent care expenses not covered by insurance, from which employees can be reimbursed throughout the plan year or claim period as they incur the expenses. A cafeteria plan allows the employer to reduce employees' gross income, thereby reducing the amount the company pays in Federal Insurance Contributions Act (FICA or Social Security), Federal Unemployment Tax Act (FUTA), Workers' Compensation, and some State taxes. There are several different types of pre-tax benefits that can be utilized under the Section 125 Cafeteria Plan, the following list is not exclusive of all benefits: Health Insurance, Dental Insurance, Vision Insurance, Long Term Disability, Accidental Death & Disability, Flexible Spending Account, Dependent Care & Transit Accounts. Premium Only Plan (POP) allows the employer to withhold from the employees pay the amount of the employees responsibility for the applicable group insurance premiums. The amount that is withheld from the employees pay is then combined with the rest of the employee contributions and remitted to the insurance company. This results in a tax savings for the employee (Federal, FICA, Federal and State taxes) as Cafeteria withholdings are done before any taxes are calculated. The employer saves on the amount of (FICA and sometimes Workers Compensation) that they pay as the gross compensation for their employee base is now reduced. This is simply a bookkeeping transaction; no claim process is required as long as the proper documents have been executed to establish the plan. A Flexible Spending Account is an account into which pre-tax earnings for medical and/or dependent care expenses are deposited. It functions like a checking account in that the cafeteria plan administrator (APA Benefits, Inc.) actually writes checks to participants for the medical and dependent care expenses that they submit. 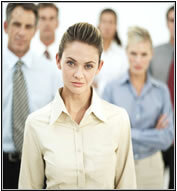 APA utilizes the best vendor in the industry for the Flex cards and the Flex cards are available to most FSA plans. Health Savings Account is an account that you can put money into to save for future medical expenses. There are certain advantages to putting money into this account, including favorable tax treatment. Any adult can contribute to an HSA if they meet the following: Have coverage under an HSA-qualified "high deductible health plan" (HDHP). Have no other first-dollar medical coverage (other types of insurance like specific injury insurance or accident, disability, dental care, vision care, or long term care insurance are permitted). Are not enrolled in medicare. Cannot be claimed as a dependent on someone else's tax return. Contributions can be made by you, your employer or both. However the total annual contribution is dependent on your HDHP level of enrollment (single vs. family) and age. This limit is indexed yearly by the IRS. Health Reimbursement Arrangement is an employer-funded arrangement that reimburses employees for certain medical care expenses incurred by employee, spouse and their dependents. An HRA must be paid for solely by the employer and has tax-favored treatment under Code Section 105. The HRA funds may be rolled over to subsequent years or forfeited at the end of each plan year.